As a member of the 9th team of Kyoto U-Bhutan Friendship Program, I visited Haa, Punakha, Wangdue Phodrang Thimphu, and Paro in Bhutan. In Haa, visiting alower secondary school and a higher secondary school, I observed some classes at work, and exchanged information with students, teachers, and the principal. 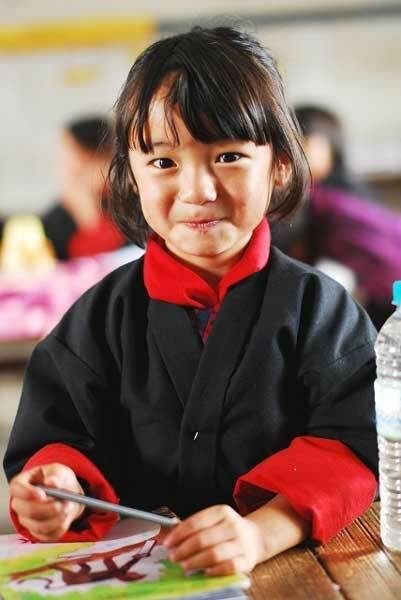 In Bhutan, English is used in all the classes except in their national languageclass, and therefore even lower secondary school students can speak English. Ihad a precious time to talk directly with the small children about their schooland ordinary life. I also visited sites affected by the earthquake in September 2011. In Bhutan, especially in local areas, people formed cohesive societies which would work well against disasters. Meanwhile, they have also aproblem of their low awareness of disasters. I corrected information about their government- and community-based reconstruction plans, from which we Japanese would be able to learn something for building our post-quake societies. In Thimphu, we visited Center for Bhutan Studies (CBS), Departmentof Geology & Mines, Royal Society for Protection of Nature, and JICA. In CBS, Icould talk with Dasho Karma Ura, the director, for 1h 40m about Bhutanese concepts of GNH, nature, and religion. I video-recorded the interview. I'm planning to send him feedback with my report on it.